It can not be avoided if one day the phone battery will be damaged due to age usage. However, users will feel the phone battery more quickly damaged or leaked if not care for it properly. It does not matter if you doze off overnight and leave the battery constantly filled. Therefore, the phone battery and charger is now smart enough to set the power that goes into the device so as not to overdo it. 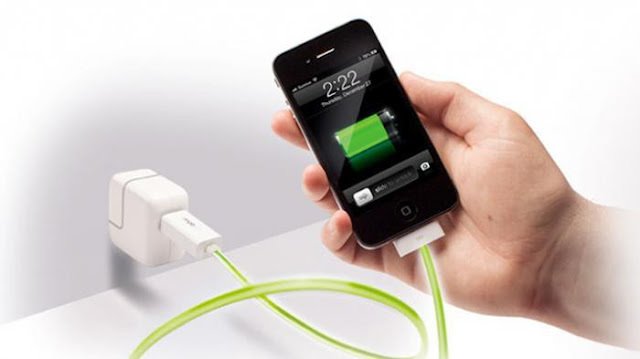 In addition, charging the phone battery overnight is better than charging while playing the phone. Not practical for some users to charge the battery no matter how they can. But according to Battery University, it does not matter if the user striking and unplug several times a day when the phone is charging. What becomes dangerous is not how long the user charges the battery, but the heat felt by the phone battery. Mobile phone batteries, especially smartphones are very sensitive to heat, even the Apple advises its users to release the phone case that can isolate the heat while charging the battery. In addition, the user should protect the phone while in the sun, this will maintain the health of the phone battery. 0 Response to "Here's How to Re-Charge the Right Mobile Battery"